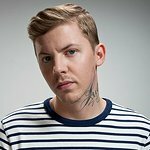 Rapper and singer/songwriter Professor Green has been named as the new patron of anti-suicide charity CALM. Two major men’s brands, Lynx and Topman, have also committed to lend their support to the campaign to fight male suicide. Lynx has committed to support CALM’s helpline that is currently taking almost 5,000 calls a month. Topman will be distributing award-winning men’s magazine, CALMzine, in their key stores across the UK. 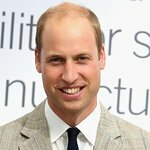 Jane Powell, CALM CEO emphasises: "While mental health has risen up the agenda urgent funding is still required as more money needs to be dedicated to this service in the years to come, but with all the will in the world that won’t create the social change needed to tackle male suicide. Having Professor Green and brands like Lynx and Topman help us share the message that it’s ok to talk, however, will help us foment the cultural change we need to finally tackle this issue. Find out more about CALM here.